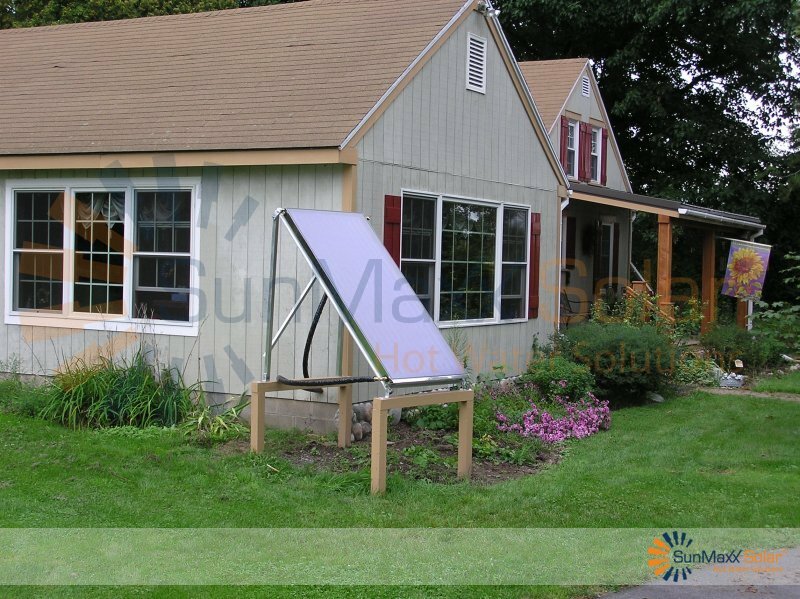 During the Fall of 2011, a residential solar thermal system was installed for and by Calvin Adams of Geneva, New York. 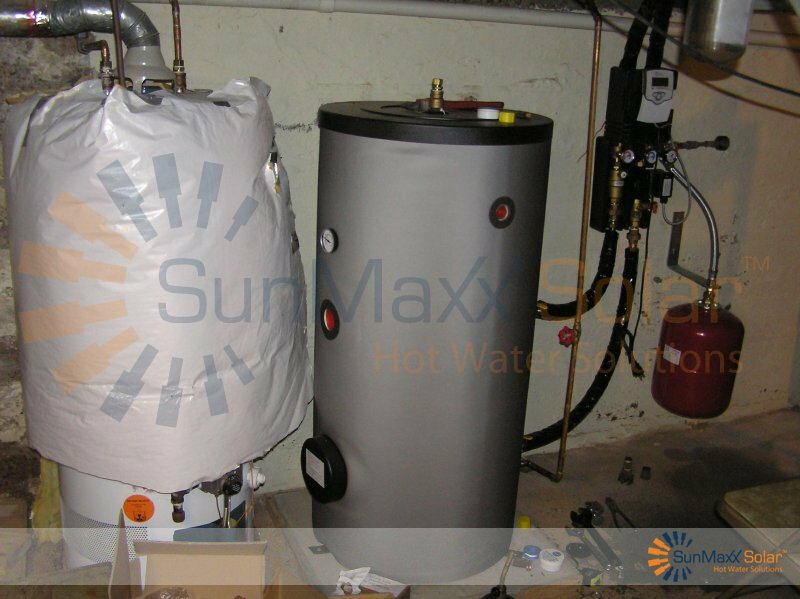 He purchased a SunMaxx HelioMaxx-FP PRO 50G Pre-Packaged Kit. His system uses one TitanPower Plus SU2 flat plate collector which is ground mounted, a StorMaxx Premium PTEC 50 Gallon Storage Tank with two Heat Exchangers and a UniMaxx Plus Pump Station. This cost effective investment will save him 40 – 50% in propane for his domestic hot water use each year. The solar fraction of this system is 50% at his location. 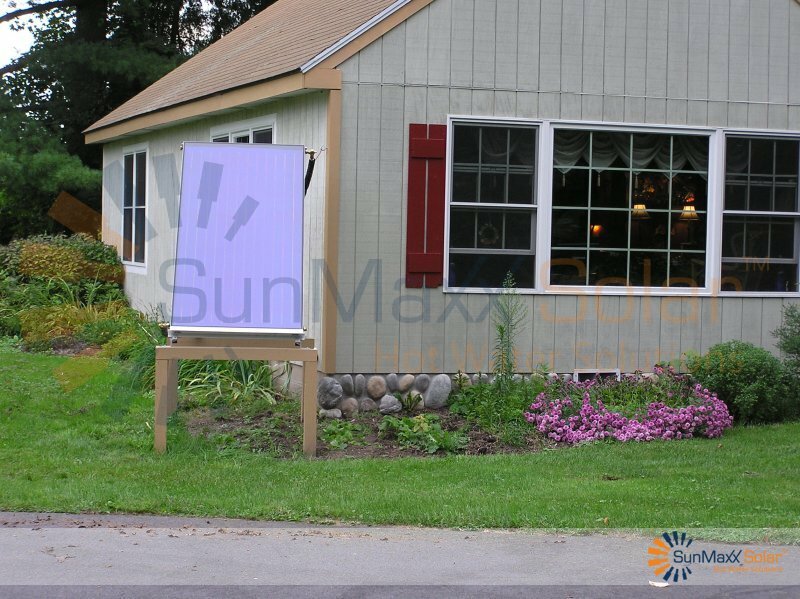 He took advantage of the 30% federal tax credit for homeowners who install qualified solar thermal systems. Now he and his wife are reaping the benefits of solar thermal energy!